Our 48 inch Quick Release Base Gorilla Post is perfect for marking off restricted areas; the flexible design makes it possible to be hit and return to a standing position. 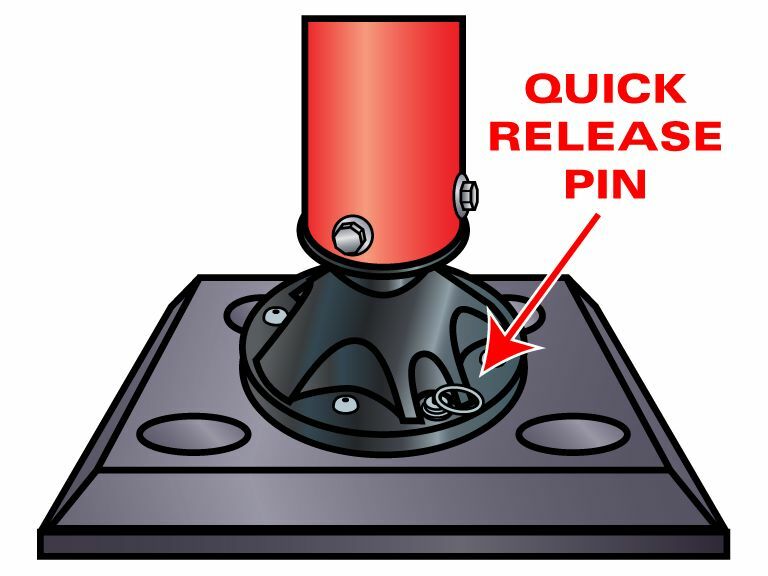 The base is permanently glued to concrete or asphalt surfaces while the post is held in place using a spring loaded pin. To remove this delineator, pull the pin upwards and twist the 2 1/3 diameter post. The 8-inch-square, 1-inch-thick base remains in place.